Most houses have at least three of them, most of us ignore them, but they can be a source of significant challenge for some property owners in WA. Dividing fences! An understanding of the key rules can be important. 1 What is a Dividing Fence? A dividing fence separates the land of different owners whether the fence is on the common boundary of adjoining lands or on a line other than the common boundary. A dividing fence does not include a retaining wall. The Act does not apply to the Crown (government) or to land used for public purposes such as roads and paths under the control of local governments. This means that if your property adjoins such land you have to pay the full cost of the dividing fence. Local government laws regarding fences or what is a ‘sufficient fence’ will still apply. So a dividing fence is not a retaining wall, a boundary wall or a parapet wall. 2 What is a Sufficient Fence? Local governments may have local laws that prescribe what is a sufficient fence. If you want information on what type of fence is allowed in your area, contact your local government. a fence determined by a Magistrates Court to be a sufficient fence. Owners may decide what they want as long as it does not conflict with the local laws. If your local government does not have any local laws covering fences, you are still obliged to contribute a half share of the cost of constructing a sufficient fence. Checking out the type of fencing that has been erected in your area will give you a good guide as to what is accepted as the fencing standard. 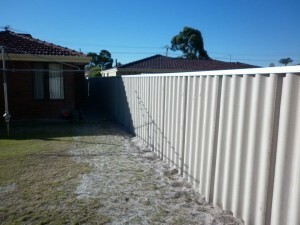 If you wish to claim half the cost of erecting a sufficient fence and avoid any disputes over payment, you should approach the owner of the adjoining land to discuss your proposal and reach an agreement. The Act provides a mechanism for sharing the cost of the fence. The procedure is to give notice in writing to your neighbour describing the proposed dividing fence including materials to be used, costs, and specifying the boundary line to be fenced. If you do not know the name and address of the adjoining owner, the rates section of your local government may provide this information. Alternatively you may wish to arrange a land title search through Landgate. 3.2 What if You Cannot Contact the Neighbour or Reach Agreement? The adjoining owner has 21 days to respond or write back if they dispute all or any part of your proposal. If you are unable to reach an agreement within that time, the matter may be referred to the Magistrates Court nearest to where the fence is situated. Either owner may make an application to the Magistrates Court. In making its order, the court will consider the type of fence typically constructed in the area, how the lands are used and any local laws prescribing the type of fence for your area. This section applies only where one or both of the adjoining lots of land are vacant. However, you may erect a sufficient fence without giving notice or reaching agreement with the owner of the vacant land and still obtain a contribution towards the cost. The owner who has erected the fence may claim from the adjoining owner whether or not notice was given or an agreement was reached. has permitted or permits some other person to lawfully occupy a building or structure on the land. If any of the above conditions are satisfied, you may give the other owner a notice claiming half the value of the fence as estimated at the date of the claim. There is no specified method for determining the value of a fence. Obtaining a current day price for a similar fence may be useful in providing a base from which to estimate the value of the fence. If it cannot be agreed upon between the adjoining owners, it may be necessary to have the matter decided through mediation or if that fails, in court. The right to claim exists while the person who erected the fence continues to own the property, however, it is doubtful whether this right exists after the property is sold. The commonly held legal view is that the right does not continue and this would mean the right to claim cannot be passed on from the owner who erected the fence to another owner who buys their land. If the adjoining owner gives you written notice of objection and agreement cannot be reached on the claim, you may make an application for an order to the Magistrates Court nearest to where the fence is situated. Application forms are available by calling the Magistrates Court on (08) 9425 2222 or online at www.magistratescourt.wa.gov.au . The court will make a decision on the dispute. The Act provides for owners of land on either side of the fence to join in or contribute in equal proportions to the repair of the fence. This applies to both developed and vacant land. The Act defines the word ‘repair’ as including ‘realign and re-erect’ so the provisions which deal with repairing a dividing fence also apply in the same way to fences which need realignment or re-erection. Note: The WA Supreme Court, in Basell v Meredith, 1997, held that the replacement of an existing fence with an entirely different type of fence, for instance replacing a damaged old picket fence with a new fibrous cement fence, is not a repair. It is important to determine whether the condition of the existing fence justifies it being replaced by the same type of fence. pay half the cost of having the fence repaired by a third party. Note: Costs may include labour, equipment hire and materials. If your adjoining owner redevelops their land by demolishing existing buildings or erecting new ones, they may ask for a contribution for a new fence. is in need of repair or replacement. It may also occur because the adjoining owner wants a new fence. Development approvals by some local governments require the developer to build new fences or require that they be to the local government’s satisfaction. This does not prevent the adjoining owner from serving a written notice under the Act on the other owner seeking a contribution for half the fence construction or repair costs. 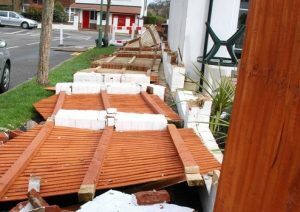 However, for a claim to be successful it will depend on whether the fence was in a condition requiring its replacement. The fence need only be a ‘sufficient’ fence. Where a dividing fence is damaged or destroyed in whole or in part by flood, fire, lightning, storm, tempest or accident, an owner on either side of the fence may immediately repair the fence without notice. The party who repaired the fence is then entitled to recover half of the expenses of doing so from the owner of the adjoining land through the Magistrates Court. However, it is suggested that despite this right of action, it is better to try to give notice of your intention to repair the fence. Try to reach agreement on payment for repairs before taking court action. 7 What Happens if the Fence is Damaged by Your Neighbour? Situations may arise where you consider that your neighbour or neighbours should be paying for the entire repair of the fence because it has been damaged by their actions or inaction. The Act only recognises a limited set of circumstances where an adjoining owner or owners who are at ‘fault’ are bound to repair or renew a dividing fence at their cost. These are where the dividing fence is damaged or destroyed in whole or in part by fire, or by the falling of any tree (or portion thereof). An element of neglect on the part of the adjoining owner or owners from whose land the fire originated or the tree fell must also be evident. For all other fence damage the adjoining owners are liable to join in and contribute in equal proportions to the repairs. If your neighbours are bound to repair the dividing fence at their cost and fail to do so, you as the adjoining owner may repair or renew the fence. You may then recover the whole cost of doing so from your neighbours by referring the matter to the Magistrates Court. Generally, when a dividing fence is in need of repair, the owners on each side of the fence that is in need of repair are responsible. This also applies to land that is vacant. 8 What Happens if the Fence is Damaged by Your Neighbour? It is better to maintain harmony with neighbours by first negotiating with them to repair the fence. As a tenant you do not have to pay for the cost of construction or repair of a dividing fence unless the term of the lease is for a period of five years or more. If the term of the lease is between five and seven years, the landlord must pay three quarters of the cost and the tenant one quarter. If the term of the lease is between seven and twelve years, the landlord and the tenant must each pay one half of the cost of construction or repair of the dividing fence. If the term of the lease is longer than 12 years the tenant must pay the whole of the cost. 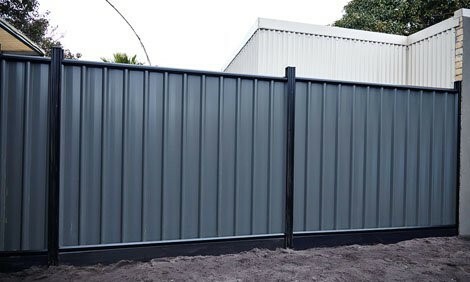 Where adjoining land is owned under a strata title, a claim may still be made against the owners for a contribution towards constructing or repairing a dividing fence. another person, depending on the nature of the strata scheme and the by-laws of the strata company. It will also depend on whether a person has lodged a notice for recording on the strata/survey-strata plan with the Registrar of Titles in accordance with section 123A(3) of the Strata Titles Act 1985 (WA). The name of the strata company and information about this type of strata scheme, the by-laws of the strata company and whether a notice has been recorded on the strata/survey-strata plan can be obtained online from Landgate by calling (08) 9273 7373 or visiting www.landgate.wa.gov.au . Note: There are fees payable for this information. if the fence divides both a lot and common property in the scheme, the owner of the lot and the strata company are liable. In other schemes for example, in a multi storey scheme, the strata company and the owner of the adjoining land are equally liable for these costs. It is important to review the strata plan. Under the Building Act 2011, responsibility for maintenance and repair of boundary walls rests with the owner of the land on which it is constructed unless otherwise agreed. 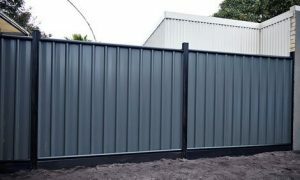 Where it is not practical to erect a dividing fence due to a boundary wall the Building Act provides for a reasonable standard of finish on the outward facing side of the wall. An adjoining owner is not permitted to paint, render or attach anything (such as pot plants, clotheslines and basketball hoops) to the wall without the permission of the owner of the wall. It is suggested that any such permission be in writing and retained for future reference. A boundary wall may not be considered a dividing fence and an adjoining owner may still erect a sufficient fence along the boundary line. Trees are a highly desirable part of our landscape and essential to our environment so a certain amount of inconvenience associated with them should be tolerated. Information on your rights about tree nuisance is available online at www.legalaid.wa.gov.au. You should be aware that these issues are not covered under the Dividing Fences Act. Only where a dividing fence has been destroyed in whole or in part by the falling of a tree does the Act provide for the adjoining owner to repair the fence immediately and recover the costs in the Magistrates Court. Under Schedule 3.1 of the Local Government Act 1995, your local government may serve a notice on owners of land to ensure that a tree on that land that endangers any person or thing on adjoining land is made safe. Contact your local government authority for more information. Situations may arise where a property owner wishes to construct a fence on their own land adjacent to an existing dividing fence. The Act does not prevent this second fence from being erected, however, it is recommended that you contact your local government to find out whether it has any restrictions on structures of this type. Any substantial structure built along a boundary is likely to require planning approval and a building permit issued prior to construction. This is particularly the case for retaining walls, walls that form part of buildings, unusually high fences or fences made from unusual materials. Fences that form part of a swimming or spa pool barrier also require a building permit from your local government prior to construction. In many local government areas, brick and masonry fences require a building permit. Although simple, conventional dividing fences may not need a building permit. You should always check with your local government first, as construction without planning and building approval is an offence. Dividing fences; who thought they could be so complicated? When you have got good neighbours it is rarely an issue. But fences can cause good neighbours to become bad neighbours. The above contains important information on dividing fences. The WA Government has produced a range of valuable information on the topic.